Looking for pest control in Thirsk? Gardeners in the county are not concerned about garden pest control in Thirsk anymore. They know they can count on Thirsk Garden Centre to provide them the most effective solutions and products for their vermin problems. In fact, the product range in our garden centre is comprehensive and covers rodents, insects, and weeds, giving you complete peace of mind about your garden pest worries. Safe your plants NOW! 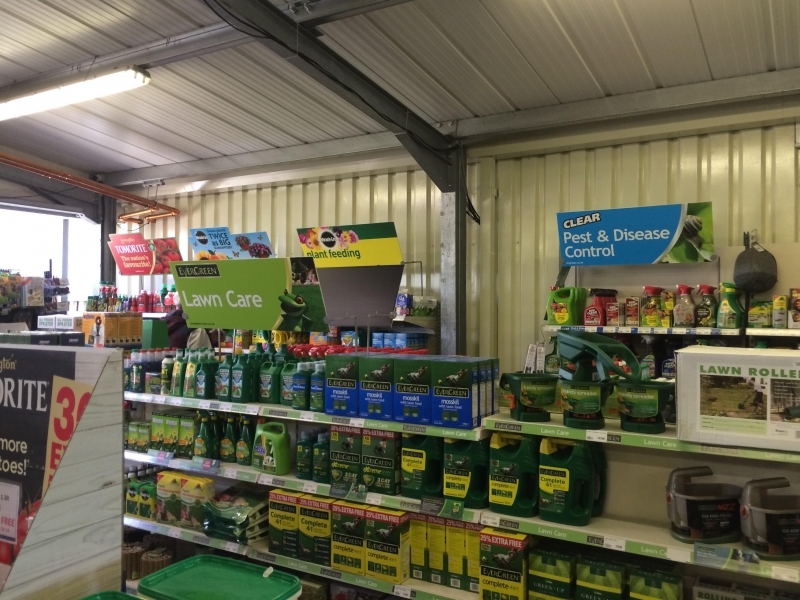 In Thirsk Garden Centre, you will find a number of products that are designed to tackle pest problems in the garden and other parts of your house in a number of ways. From weedkillers and slug killer sprays to organic nematode flies deterrents and smoke fumigators, we have everything you will ever need to control pests in your garden in Thirsk. Weedkiller substances for your garden in Thirsk come in a number of packaging styles from a number of manufacturers, but they are all potent weed removers. We also have plucking tools for you to get rid of visible weeds and roots. With weeds out of your plot and lawn, you can grow healthier plants and grass that are not prevented from using the nutrition in your soil by the weeds. We have many items in our display of animal repellent sprays in Thirsk. These come often in spray guns and target specific animals and pests. For instance, we have squirrel repellents, spider repellent spray, cat and dog repellent spray, and organic nematode flies deterrent sprays in Thirsk, to list a few. We also have sonic repellents that work on big and small animals, particularly helpful in keeping cats away from the garden, which they can easily destroy in their playful hunt of game in your plots and beddings. Mouse traps in Thirsk and insect killer sprays in Thirsk are also available in our garden centre in sizeable variety. While some mouse traps are designed to catch and dispense of mice, other rat traps are made to kill the rodents. Some of our insect killer products also come in gel, particularly for baiting insects, like ants and leatherjackets. We have an abundance of top quality pest control in Thirsk. The reason for keeping so many products for garden pests in Thirsk Garden Centre is simple: there are far too many enemies of your garden and it is our job to provide you all affordable options to get rid of these vermin. However, we also make sure the products we are selling to our customers deliver their promise because the customer mostly founds their choice of these products based on our suggestions and advice. We only have substances from brands that are trusted by gardeners in Ireland. Some of our suppliers are Bug Clear, Home Defence, STV, and many more. Our sales team in the garden centre are also experts in our product lines. When you visit us next, bring some questions about pest control in Thirsk and they might tell you a thing or two about how to best get rid of pests. They will also be able to point you to the ideal products without wasting your time. Visit us soon and get your weedkillers and pest deterrents from us!